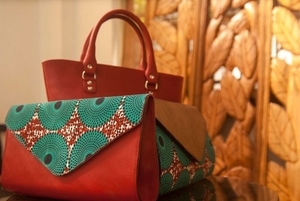 eBay opened up its U.S. platform to Africa through its partnership with MallforAfrica.com. Americans can now buy products on eBay from select vendors in six African countries, starting with merchandise categories of fashion, art, jewelry, and clothing. 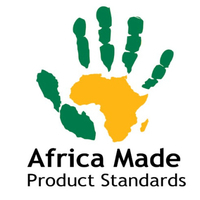 For the new program, MallforAfrica selects the sellers and handles payments on its proprietary platform. DHL is the shipping partner. Online shoppers can browse the entire collection on eBay’s Mall for Africa Store. The new online channel expands an existing relationship between the two e-commerce companies. In 2016, they launched the eBay Powered by MallforAfrica platform allowing U.S. vendors to sell in Africa. The program taps goods from merchants in Nigeria, Kenya, Ghana, South Africa, and Burundi. “We’ll be adding more sellers and more countries,” eBay’s Sylvie de Wever told TechCrunch in this feature. Google launched new Africa initiatives, on the back of CEO Sundar Pichai’s recent Nigeria trip. While visiting Lagos he announced the global internet services company’s plans to train 10 million Africans in digital skills over the next 5 years. Alphabet will also increase its funding to African startups, provide $20 million in grants to digital non-profits, and offer modified versions of products (such as YouTube) in Africa―where internet users can face costlier data plans and slower download speeds than other Google markets. “A lot of what we’re doing is making it easier for the average person to take advantage of the web,” Bunmi Banjo, Google’s Growth Engine and Brand Lead for Sub-Saharan Africa,told TechCrunch. Ghana’s first sattelite―GhanaSat-1―began its orbit recently, with a little help from some friends. The cubesat, built by a Ghanaian engineering team at All Nations University, was delivered to NASA’s International Space Station in June on a SpaceX rocket that took off from pad 39a at Kennedy Space Center, a NASA spokesperson. Weeks later, GhanaSat-1 deployed into orbit from the Center and is now operational. The GhanaSat-1 deployment marks increased interest and activity in Africa toward space exploration. Nigeria’s first cubesat launched on the same SpaceX mission. Several nations, such as South Africa, Nigeria, Kenya and Ethiopia have space agencies. Angola announced its intention to launch a satellite over the coming year. Could we see an African space station sometime in the future? It seems quite ambitious. But then again, not so many years skeptics doubted that Africa’s tech sector would ever attract big VC, blue chip IT companies, or produce unicorns. All those milestones have been passed.